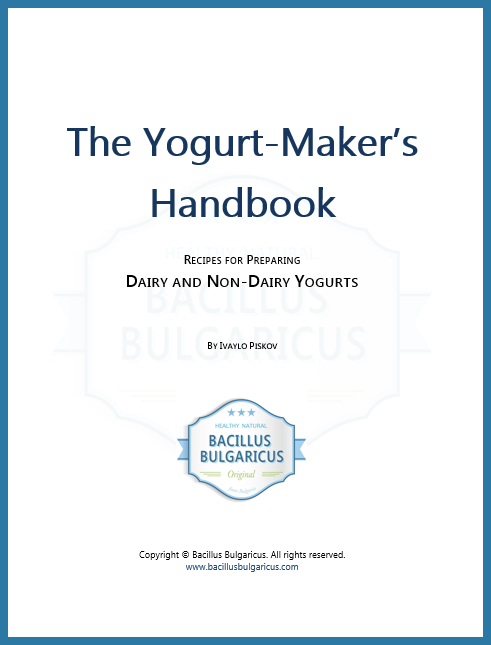 Bacillus Bulgaricus is a classic original Bulgarian Yogurt Starter. It is an authentic Bulgarian heirloom yogurt starter made with naturally sourced lactic acid cultures, isolated from natural sources in ecologically preserved areas in Bulgaria. It is produced and packed in Bulgaria. It makes genuine Bulgarian yogurt (kiselo mlyako) of exceptional quality with classic Bulgarian yogurt taste, thickness, acidity and aroma. The yogurt is thick and creamy in nature and has the perfect balance between mild and tart, and has an impeccable taste. It is unlike any other yogurt you’ve ever tried. Bacillus Bulgaricus yogurt starter needs to be kept in a cold dry place. Your fridge or freezer works best for this. You can store the packs in your freezer, at around 0°F (-18°C) or lower, for up to two years. You can store the packs in your fridge, at around 40°F (4°C), for about 6 months. Avoid keeping the packs at room temperature for prolonged periods of time as it will decrease the activity of the lactic acid bacteria in it. Unfreezing the starter and freezing it again (even more than once) is ok. Transporting the packs will not damage the live culture inside -- we use a freeze-dried process that keeps it alive even during long trips at ambient temperatures. Once you receive your packs tho, pop them in the freezer quickly for best storage conditions. This entry was posted in Product Information and tagged Bacillus Bulgaricus, yogurt starter info, yogurt starter product information.